Ok, you have decided that you would like to visit Mykonos. Don't worry! If you're already in Greece, you can easily go to the island, as there are regular flights from Athens airport, but also with high-speed boats from the port of Piraeus, Rafina or Lavrio. If not, Santorini is connected with flights to numerous international airports. Still your bags are not ready? Hurry up! Mykonos is waiting for you! Daily there are ferries and speedboats from the port of Piraeus to Mykonos.The journey by boat is approximately 5 hours and the most usual route is: Syros-Tinos-Mykonos. The speedboat ride is about 3 hours with a variety of routes. The speedboat returning late afternoon in Piraeus and departing again in the afternoon. Daily are ferries and speedboats from the port of Rafina, to the islands of Andros, Tinos and Mykonos. The small speedboats, transport only passengers and in less than 2,5 hours you can reach the port of Mykonos. 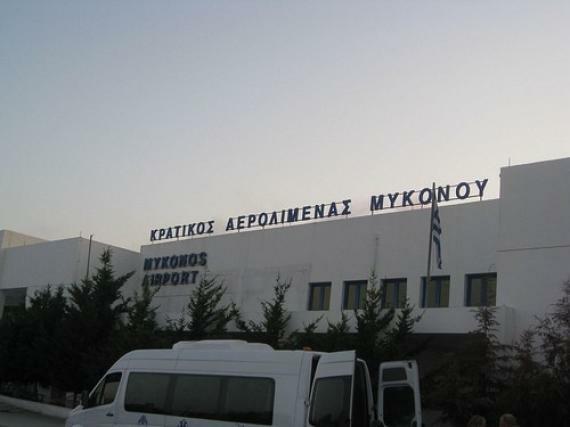 Mykonos Airport is 4 km from Mykonos town and there is a taxi outside the airport. Also within the airport you can find car rental agencies and an information kiosk. The island is connected to other islands of the Cyclades, the Dodecanese, Crete and Thessaloniki by ferry or high-speed boats, while you can fly to or from Thessaloniki, Santorini and Rodos islands.